Pokémon GO is still a massive hit, and people all over the globe are falling over themselves trying to catch them all. It’s getting the population out and about, and may even be helping with the obesity crisis. Of, course Pokémon GO is a fad and it won’t be popular for ever, and it’s very likely that over the next few months we will hear less and less about it, until eventually our ever so fragile attention spans will have moved onto something else entirely. Plus, we have an army of tedious dullards who bemoan Pokémon as something for children and question the maturity of any adult who would get a kick out of it. Because God forbid somebody should enjoy something that you don’t without it being an opportunity for you to attempt to feel superior to them. Anyway, here’s the thing – fads are indeed short-lived things (so don’t you worry all you ‘mature adult’ special snowflakes, it’ll be gone soon) but that doesn’t mean there aren’t opportunities to be had. It just means that if you want to take advantage of those opportunities, you need to be thinking quickly and striking whilst the iron is hot. With that in mind here are some great ways for you to see fads as more than just transient distractions, but as an opportunity to promote your business like never before. The fad doesn’t even have to be related to the field that you operate in, just employ some outside of the box thinking, and you’ll yield the rewards. Seeing as Pokémon GO is the fad that is going around at the moment, it seems only logical to use it as our main example. Lures are in-game items that you can drop anywhere and they act as a wild Pokémon magnet, increasing the spawn rate for the little blighters in your vicinity for a limited period of time. The best thing is that when you drop a lure, it doesn’t just increase the Pokémon spawns for you in that area, but for other players as well. Drop a lure outside your business entrance to start drawing players in, and think about offering some kind of promotion or discount for Pokémon GO players. Do it at a different time each day and see what times work best. Promote the activity on your Facebook and Twitter accounts to create buzz and let people know that your place is the place to catch Pokémon (and enjoy some great food and drink of course). Sure, lures cost money, but it’s a few pence each day out of your advertising budget (think about what you spend on Facebook ads), and the unit price goes down if you buy in bulk. Anyway, imaginary internet battlegrounds aside, Pokémon teams and their inherent rivalry also provide an opportunity for getting customers through your doors. Bars and other night time establishments could be fertile ground to host Pokémon parties. Buy a load of lures and release them throughout the night. You can have people log the number of Pokémon they catch, and what team they belong to, with free drinks or other prizes for the individuals or team that catches the most, or the rarest Pokémon. You may even be fortunate enough to have had your business designated a Pokémon gym, in which case you are laughing. Imagine having Pokémon Go tournaments at your bar, with the gym changing hands over and over again, with a winner announced after a certain time. Don’t worry if your business isn’t a gym as it has recently been reported that you can request new Pokéstop and gym location by filling out a request form on Niantic’s official Pokémon GO website. As a side note, you can also use this form to have one removed if the game has decided that your house is a Pokéstop and you’re getting a little tired of all the people on your lawn. So, hit social media and promote your Pokémon parties. Come up with some Pokémon themed cocktails or dishes to help sell the idea. If you wanted to go all out, I’m sure that you could get some Pokémon decorations such as bunting, balloons etc. You may think that’s going a bit too far, but it could do wonders for your business. We are on the cusp of a new revolution in the technology around augmented and virtual experiences, and it is leading many to speculate as to whether this will be the dawn of a new era in social media. And Pokémon GO is its first big success. 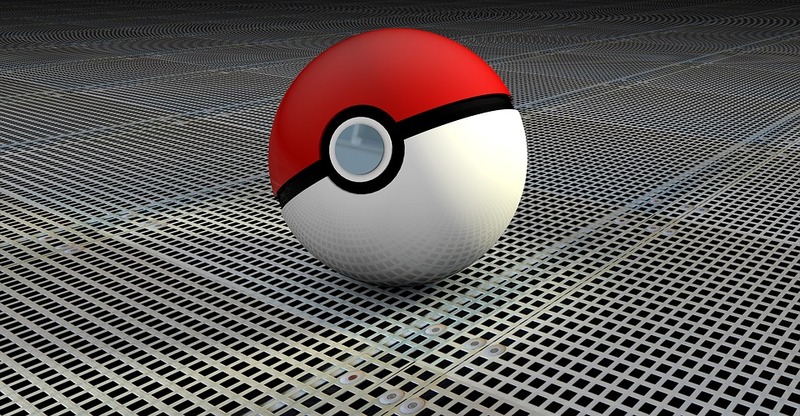 We have already demonstrated how Pokémon GO can be used to literally draw people to your business, but imagine if things went a step further. Imagine if businesses could make special deals and offer exclusive Pokémon or items that were only available at that specific location. This kind of promotion could be the new clickbait. Except instead of getting some poorly written or outright plagiarised hack article, you get something cool for your in game character instead. People are very keen on opportunities to merge their physical and digital worlds and AR contains many opportunities for savvy marketers to offer just that. We hope that even the most cynical amongst you can see that fads such as Pokémon GO can provide great business opportunities. So instead of turning up your nose, turn on your brain and get creative. Please let us know if you have thought of any great ways to use Pokémon GO to bring in new customers, and what’s the rarest Pokémon you’ve got your mitts on so far?